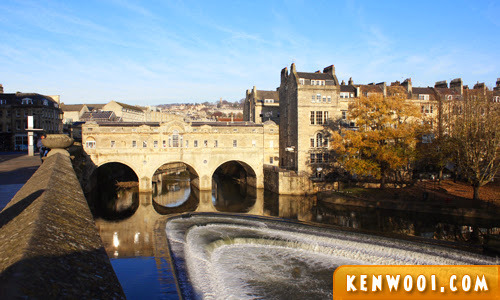 On the final day of the Great Britain Tour with Expat Explore, our first destination was Bath, a city known for The Roman Baths! 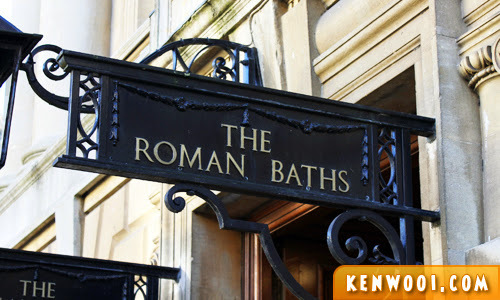 Frankly, I’ve heard of Bath several times, but the Roman Baths is probably the only attraction I know exist within the city. Anything other than that is pretty new to me. The first activity we did at Bath was a walking tour led by the tour guide. He brought us around the city and shared some historical moments of the city. One of the stories shared which I found interesting was related to tax payment. In the earlier days, the amount of tax is based on the number of windows within the property. It’s called Window Tax, and was introduced in England, Scotland, and France. As a result, those who wanted to reduce the chargeable tax will permanently close some of their windows with bricks. It’s sorta like a loophole in this tax system. 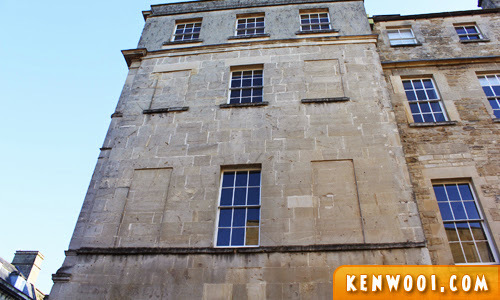 So several buildings in Bath have bricked-up spaces that were once windows. Interesting huh? If the Window Tax is introduced in Malaysia, I’d rather live in a house with totally no windows – so I don’t have to pay a single cent for tax! Heh. Anyway, Bath is a beautiful city by its own. 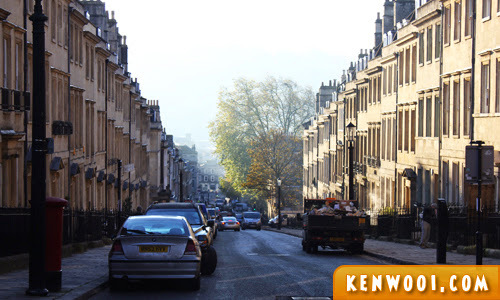 Its heritage of Georgian architecture is very prominent as we stroll along the streets of Bath. 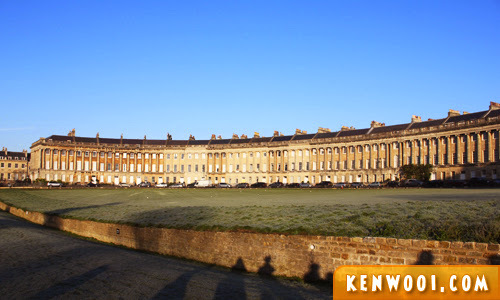 Compared to London’s modernization, Bath’s historical feature is a key attraction for the visitors. Being in Bath felt more relaxing and laid back. After a quick walking tour around the city, we were led to The Roman Baths. 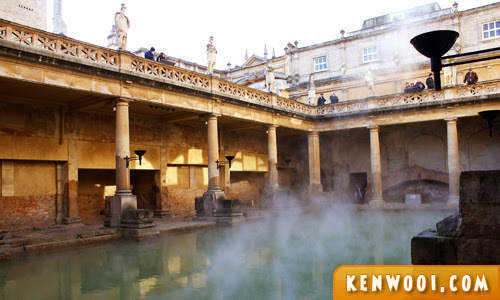 This attraction used to be a Roman site for public bathing, but now it’s a major attraction for the city of Bath. An adult admission costs £13.50 (RM75.87), and you’ll be given this very small token. By the way, it does look like a blue polo mint sweet. Upon entering The Roman Baths, everyone is given an audio guide. 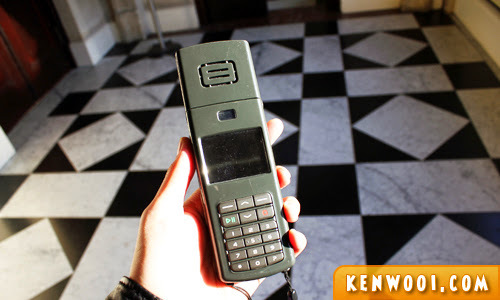 To use the audio guide, just refer to the numbers displayed at several spots. Enter the number and it’ll play a commentary related to the object. I didn’t listen much as they’re quite lengthy. Anyway, this is the popular view of the famous Roman Baths. It’s actually a hot spring, hence the visible water vapor from the heated water. 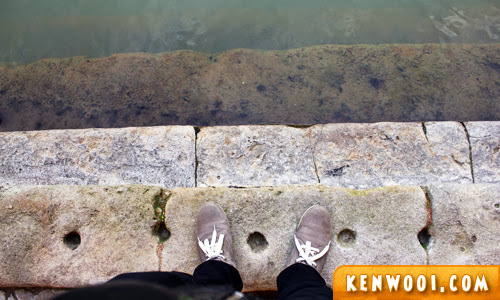 Back then when hot springs weren’t scientifically explained, the Romans thought the water is magical and it somewhat promotes longevity when they bath in it. Well, they all passed away anyway sooner or later. 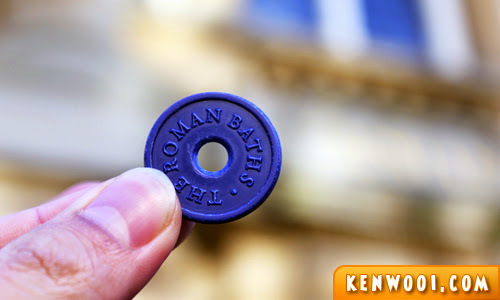 Today, the Roman Baths is both a historical site and a museum. 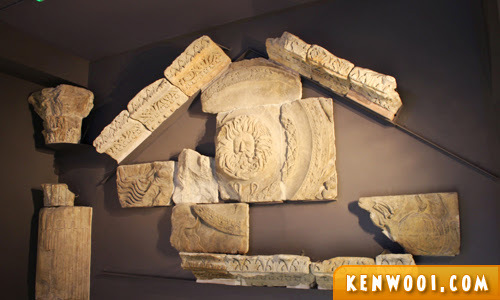 The are various artifacts on display inside the Roman Baths. Most of them are related to the Roman occupancy, the discovery of hot springs in Bath, and the process of bathing at the site back then. So it got me thinking… should I go YOLO and jump into the pool? That’d be so cool, right? But I decided not to. Two simple reasons – firstly, too many layer of clothes to take off (it’s cold there in England, remember? ), and secondly, there could be piranhas or whatnot living in it. I found out later that the water is unsafe for bathing as it’s radioactive and infects diseases! Yikes! So I’m quite lucky that I didn’t go YOLO. Heh… or else I could have been dead by now! Phew…! LOL….lucky you didn’t go in ya. This post reminds me of Twilight Man’s wacky post on the bath he had in China . Rome, one of my dream places that I wish to go in the near future! So meaning that nobody actually uses the hot spring and it’s just merely used as a tourist purpose? ?